Rip curl is a well known clothing brand in Australia, it mainly a retailer of surfing sportswear. This company also sponsor the athletes, now to increase their market share they are investing in online business, not only in Australia but worldwide they are spreading their business. Corporation: Corporation means large companies, which has their business sectors divided into all over the world. It is a legal entity, which can hire employees, borrow money, pay taxes to regulate their business plan. The company Rip curl is also a business corporation. Product portfolio: It is the range of items that an organization sells to the consumers. The popular products have a high market share. This measure shows the services a company is offering to the market through its total products. Any big corporation maintains the product portfolio. The Rip curl has a vast business strategy and accumulating all the products they follow the product portfolio. Service portfolio: Service portfolio is the main database of all the services that an organization is providing. According to the status and history, the job is listed. Service Design Package is the main descriptor in the service portfolio. It is also segmented into three parts like service pipeline, service catalogue and retired services. The service pipeline mainly deals with under developed projects (Hit et al. 2012). Service catalogue with the help of service design package activates the links for services. Retired services mentioned the discontinued services. Business Unit Identification: Business Unit is the logical sector of the organization where the planning and execution of the company done under the surveillance of the managers. It represents a specific business function that deals with proper charts and figures for the business strategy. Accounting, production, and marketing are examples of the unit. Product and service lines: Rip curl also maintains the product and service lines to achieve better goals. As the company is the producer, manufacturer of surfing sportswear, they follow the international standards to maintain the product line and the service line is also strong in this type of organization, it is a big contributor of products in the international market. Product line: It is a group of related products that comes under a single brand, which is producing, and selling the same company (Hill, Jones, and Schilling, 2014) multiple product lines have been sold under one brand name. Service line: It is also a grouping of products and services, which are related to a particular sector of a business. The company Rip curl follows the service line. A single brand is producing multiple products. Identification of Revenue Centres: It is the part of the responsibility centre. It measures the fiscal standing or this process should determine the output and the profit. A revenue centre is related to costs and it is the sole performer indicator for the revenue generation. In this revenue centre, the manager always has the control over the problems or the prospects of the marketing and sales. The improvement in technology has immensely changed the scenario or the cost consumption of big corporate. Therefore, a maximum number of revenue is able to earn in the revenue sector. In revenue centres the cost always a negligible issue and there is no separate department to look after this. The calculation of the performance become easy because revenue is the only variable here (Arrfelt et al. 2015). The Rip curl is producing so many good things and they are also generating good revenues. They are meeting each and every aspect of the service and product lines not only by producing, the sportswear but they are sponsoring the athletes to earn more revenue. Revenue is the main profit earned by a company over a certain period. According to the accountancy, revenue is the income, which a business generates from its market activities. From the sale of goods and services, it is comparable with respect to sales and turnover of a company. Like for nonprofits organization’s annual revenue referred as gross receipts. It includes a donation from the donation of the individual person. The general concept is that it also calculates as the cash income of the company. Many of the time, a company earns some assets also. The revenue is the key factor. The external environment plays a big role in the business environment. It mainly consists of economic, demographic, political, technological, global and socio-cultural issues. Political: Political environment mainly deals with Antitrust Laws, Taxation Laws, and Deregulation philosophies. Labour training laws, educational philosophies and policies are related to it. Economic: economic factors are mainly inflation rates, interest rates, trade deficits or surpluses, budget deficit or surpluses. The elements are personal savings rate, business savings rates, and gross domestic product. Social: social segment highlights the following issues like women in the workforce, diversity of the workforce, attitude about the quality of work life. The elements of this environment are concerns about the environment, shifts in work and career preferences, shifts in preferences. Technological: the elements in this segment are an innovation of product, applications of knowledge, focus on private and government-supported research and development expenditure and the availability of the new communication technologies (McNally et al. 2013). Environmental: a competitive action is influenced by the following factors like new entrant’s threat, suppliers’ power, also the buyer's power, threat of product substitutes, and competition among each other. 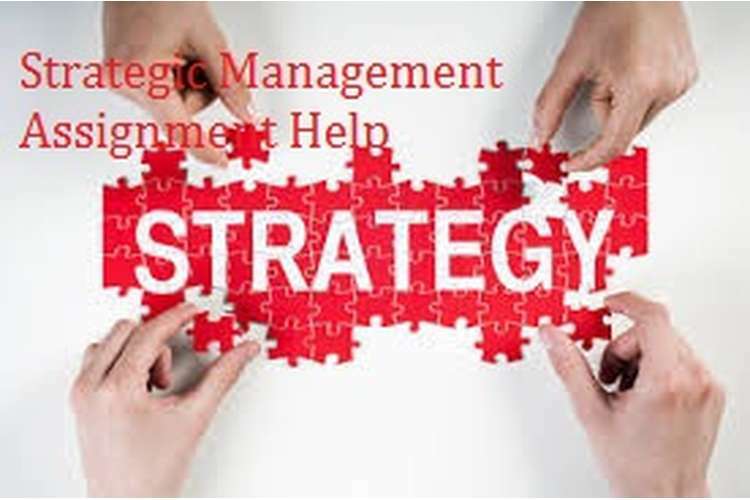 Legal: the legal scenario also influences the strategic management of a company. Many legal issues are there related to a company and management of those issues should be done properly. This segment especially deals with the laws related to a corporation (Hahn et al. 2015). Economic, demographic, political, technological, global and socio-cultural factors usually affect the external environment. Different kinds of political scenarios and the global scenario affect the business growth. The company’s main aim is to produce for the market and earn a profit. The elements of the business environments most of the time creates a barrier to this profit (Baumgartner and Ebner, 2010). The operating environment focuses on the future; industry environment is focused on factors, which are increasing the profitability of the company. Competitor environment predicts the conditions of the competitive actions, responses, and intentions. Identify the source of sustainable competitive advantage for each business unit. he strategic move made by Rip curl aims not only to achieve the short-term targets by increasing the volume of the sales, but also to make sure that it gets competitive advantages over its rivals. For that reason, a company needs to conduct the critical analysis on its external as well as internal factors. It can be done through critical analysis of the strength and opportunities of the company (Lindgreen and Swaen, 2010). Competitive advantage mechanisms of Rip curl can be discussed in light of Michael Porter’s Competitive Advantage Model. Cost Leadership: In this stage business entities adopt market penetration strategy by lowering the level of the price of products and by making the cost of operation lower in comparison to the other business enterprises in the industry (Barney, 2012). Rip curl has adopted this strategy and they have achieved success in outperforming its competitors and in saving their shares in the market. Based on the cost and return analysis and internal efficiency, Rip curl frames its pricing strategy which ensures its cost leadership. Strengths of the Rip curl has used for taking advantage of the opportunities available and for avoiding the threats posed by the rivalries (Sevkli et al. 2012). Differentiation: The maximization of the sales volume can be possible by adding value to the products. If products are unique and carry value, the more customers will be attracted (Block et al. 2015). Most of the consumer's look for those products which are different from the existing products prevalent in the market (Wright and McMahan, 2011). For this reason, emphasis should be put on innovation, research, and development. Cost Focus: This strategy puts the focus on creating the environment for cost advantage in its target areas. Rip curl has also achieved success in garment industry by putting the entire focus on specific industry and specific products where they have gained competitive advantages over others (Ibisworld, 2016). In this way Rip curl has not only been able to maintain its prestigious position in the market but also been able to increase its sales volume through the adoption of an effective strategy. Differentiation Focus: In this part business enterprises attempts make differences in terms of delivery of services on core segments and other segments of the industry. Rip curl has adopted effective segmentation strategy for making a business successful. Rip curl earn $465200000 revenue in the year 2016 and in this year the total number of employee was 2432 including all subsidiaries’ employee, and the entire number of employee under control of the company which was come into effect for achieving the vision, and mission of the company and for accelerating the growth process by maximizing the revenue generation comes from the sales. As stated by Hoejmose, Brammer and Millington (2013), the adoption of aggressive marketing strategy will increase the possibility of increasing the overall sales volume. Michael Porter’s Generic Strategy helps to have a clear view regarding the how the Supply Chain Management is influenced by the product differentiation. 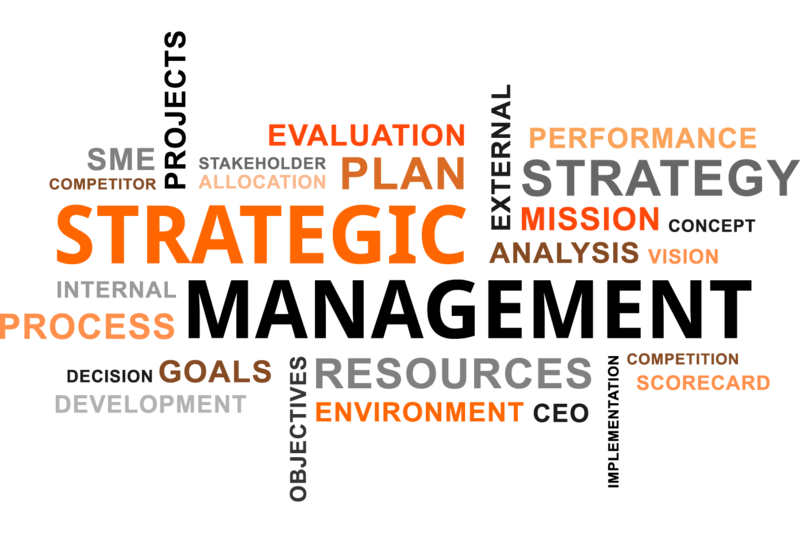 Innovation and focus also play the chief role in making the business strategy effective. Arrfelt, M., Wiseman, R.M., McNamara, G. and Hult, G.T.M., 2015. Examining a key corporate role: The influence of capital allocation competency on business unit performance. Strategic Management Journal,36(7), pp.1017-1034. Barney, J.B., (2012). Purchasing, supply chain management and sustained competitive advantage: The relevance of resource?based theory. Journal of Supply Chain Management, 48(2), pp.3-6. Baumgartner, R.J. and Ebner, D., 2010. Corporate sustainability strategies: sustainability profiles and maturity levels. Sustainable Development, 18(2), pp.76-89. Block, J.H., Kohn, K., Miller, D. and Ullrich, K., 2015. Necessity entrepreneurship and competitive strategy. Small Business Economics,44(1), pp.37-54. Casadesus-Masanell, R. and Ricart, J.E., 2010. From strategy to business models and onto tactics. Long range planning, 43(2), pp.195-215. Hahn, T., Pinkse, J., Preuss, L. and Figge, F., 2015. Tensions in corporate sustainability: Towards an integrative framework. Journal of Business Ethics, 127(2), pp.297-316.